The 2014 Mini Countryman and Paceman are for those in love with the Mini personality and style but needing more room. Still definitely compacts, the SUV Countryman seats five, the sportier Paceman handles four, and both are available with all-wheel drive and in the higher-performance Cooper S and even more higher-performance John Cooper Works versions. Why this nana loves her mini! I love this car! I almost did not check it out because I thought it would be too small inside but was I pleasantly surprised. My 6ft football player built son-in-law even commented on its roominess in the back seat. I love the way it handles on the highway and the gas mileage as I travel between Pennsylvania and Virginia at least once a month to visit family. Best of all I feel safe in my mini and I love how it literally takes care of itself! 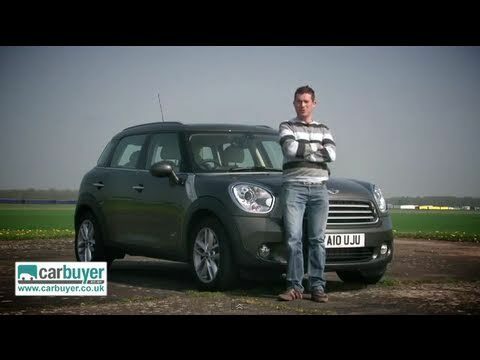 The 2014 mini Cooper countryman review. Well this car is great for a single person or just a married couple with no kids yet I find it will be to small for kids but as me and my wife do not have any it's wonderful the power is great the speed is there its a fun almost like mini cart driving experience I would tell anyone to get one but be sure to only just 91 oct gasoline so it will save your turbo. The greatest car ever to drive. The performance and handling of this vehicle is outstanding. It rides very comfortable. It gets great gas mileage. It is fun to drive because you can change the way you drive it from sport to green to mid. The stereo system is great and there are 15 speakers in the car. It is great to take on vacation as it is only myself and my dog.